All shows include positive messages throughout the presentation. We can customize that message to fit any convocation or assembly theme as well as any age group. Click on some of the most popular messages below for an overview of what we talk about during the school assemblies. Our longstanding professionals convey these messages in an inspiring manner that will leave a lasting impression on everyone. 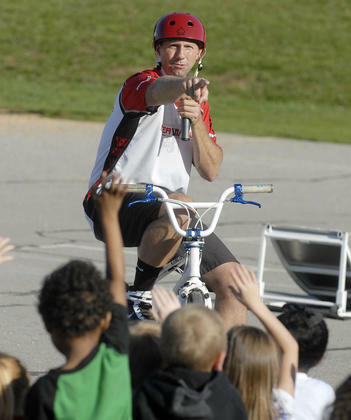 The show provides a unique opportunity to incorporate an encouraging message into a thrilling activity. Our intent for each show is to “Educate Through Entertainment”. We take all of the messages that we speak about very seriously. However, we also use humor to gain the attention of the kids and relate with them during the shows. Every message is conveyed through stories of personal experiences and knowledge that we have learned through our journeys to meet our goals. We lead by example and believe in every message that we speak about. The years of experience have allowed us to accomplish many of our goals. One is to provide a fun, knowledgeable and safe show every time. We are very passionate about riding our bikes and we want to use that to inspire kids to be tenacious about their goals and dreams. Even though we only spend approximately forty minutes with the kids, during that time we try to instill other values like compassion, trustworthiness, respect, responsibility, fairness and caring. Our professional riders keep the company’s reputable image intact by being great role models for kids and abiding by everything we try to impart. 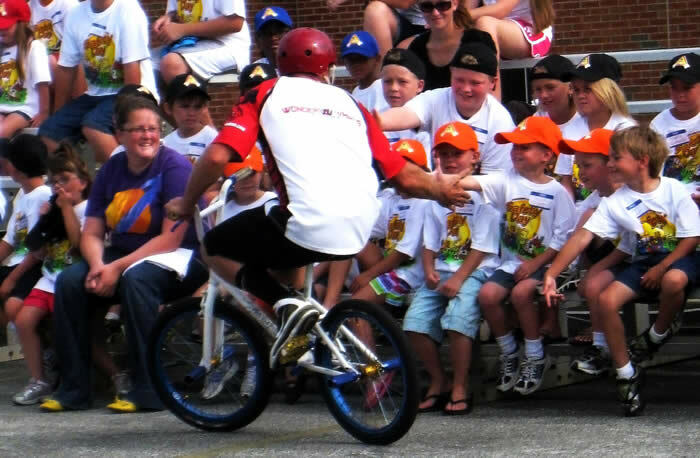 The Wonder Wheels BMX Stunt Team is very community oriented. 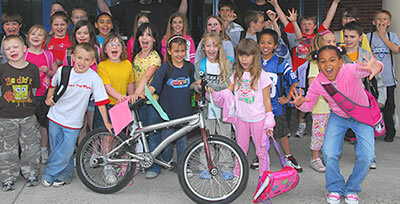 We participate in fundraising to benefit schools, volunteer at local community events and church functions. Our team also speaks at a summer camp for at-risk kids. We talk about self esteem, staying focused on goals, directing energy in a positive manner and respecting authority. The school and the Parent Teacher Organizations (PTO, PTA, PTSA, PO) can be confident that the kids will be affected in a positive manner by the messages and will remember it and the stories long after we leave. We feel this is accomplished because of our “Educate Through Entertainment” philosophy. If the kids are having fun they will have an easier time learning and retaining the information.